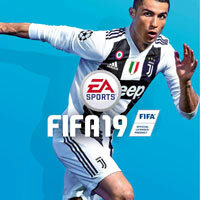 Developed for a number of platforms, FIFA 19 is the next installment of the extremely popular series of football games, in which we have the ability to lead real teams and players. The production offers modes for a single player as well as for several people. EA Sports studio is responsible for creating the title, consistently developing the FIFA series since 1993. The game has a complex but intuitive control system, which allows to perform a huge number of moves and tricks known from the world's stadiums. FIFA 19 introduces improved control over the ball and a completely new shooting system – Timed Finishing. It makes it possible to press the shot button twice, and if we do it with the right feel, our hit has a much better chance of landing in the net. EA Sports has also implemented a second player indicator, which appears when we don't have the ball and shows which player - apart from the one controlled by us - will be pressing the opponent (this solution is very similar to the one used in the Pro Evolution Soccer series). Marking movement upon receiving ball has also been improved, just as camera movement in free kicks. FIFA 19 on each of the platforms can be played alone or with others. We have a career mode (where we can lead a single player or an entire team), another chapter of the plot "The road to fame," and a wide range of multiplayer games. The FIFA Ultimate Team mode, known from previous editions of the series and based on collecting player cards, is also coming back. The modes with special rules are another addition - we can for example play a game in which only goals scored with the head or the volley count, or where one of the players leaves the field after each scored goal. This title again uses the power of the Frostbite engine, as well as Real Players Motion technology, thanks to which it is characterized by a highly realistic graphic design full of details. Models and animations of both players and stadiums are pretty advanced. The games are also accompanied by professional commentary.